1) Tap the menu button then select SETTINGS. 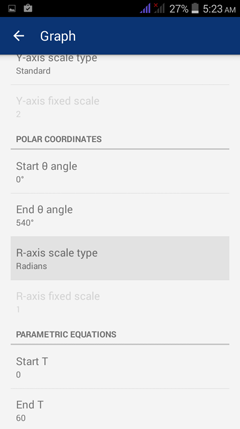 3) Look for the "R-axis scale type" option and tap it. 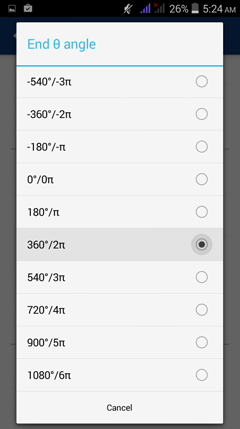 4) Select the preferred scale type. 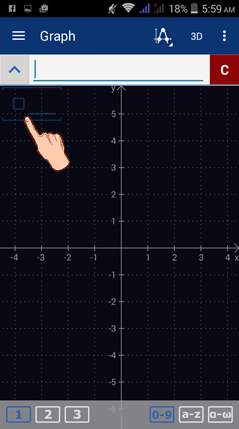 5) You can also set the "End θ (theta) angle" to a certain unit. 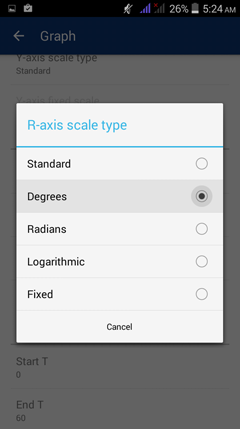 Tap the option above "R-axis scale type." Set the preferred angle measure. 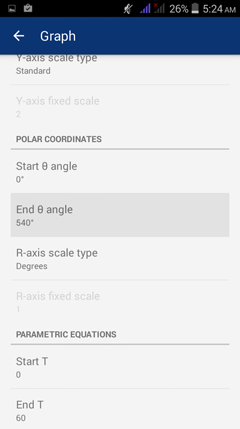 6) When you graph a polar equation, the scale type displayed in the graph area is in degrees and the end angle is the angle measure you set. Follow steps 1-5 to switch between scale types. 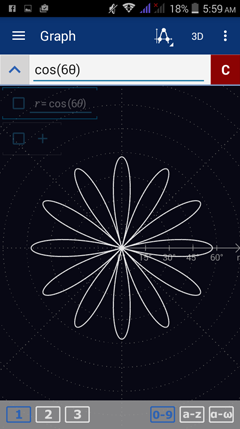 Sketch the graph of r = cos (6θ). 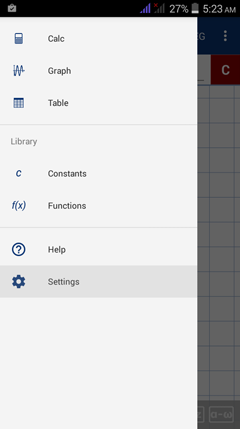 1) Tap the blue square below the input field as shown below. 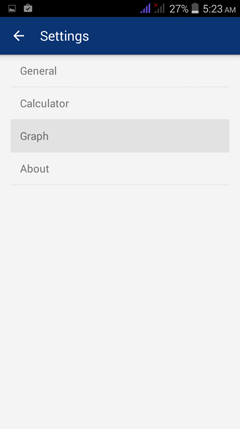 2) Tap the scroll-down menu, and select R(θ). 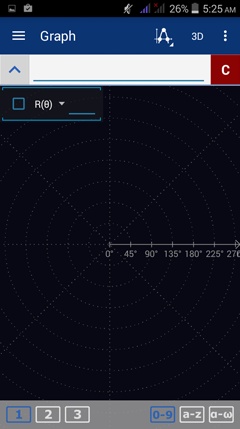 The axes coordinates are automatically converted to R-axis scales. 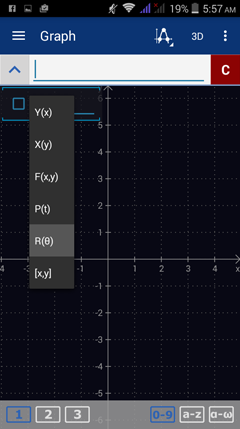 3) Type the expression for R(θ) in the input field. Reading, listening, speaking, and writing. Learn your score now.